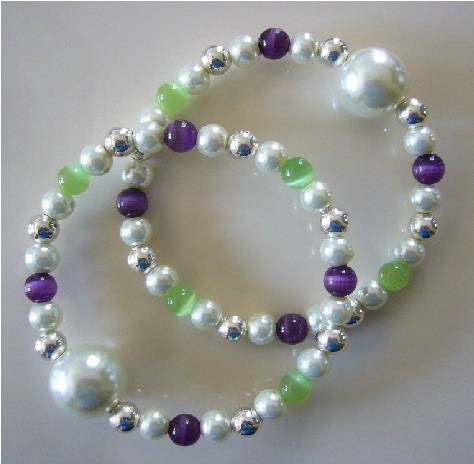 Queasy Beads are a fashionable alternative to acupressure wristbands and have been proven to work naturally, safely and effectively in relieving nausea symptoms. "Great item that actually works." Every order is designed and shipped within 2 business days from date of purchase. Your purchase also includes a FREE Carrying Pouch & FREE U.S. Shipping & Low-Cost International Shipping! It's easy to measure your wrists for Queasy Beads! 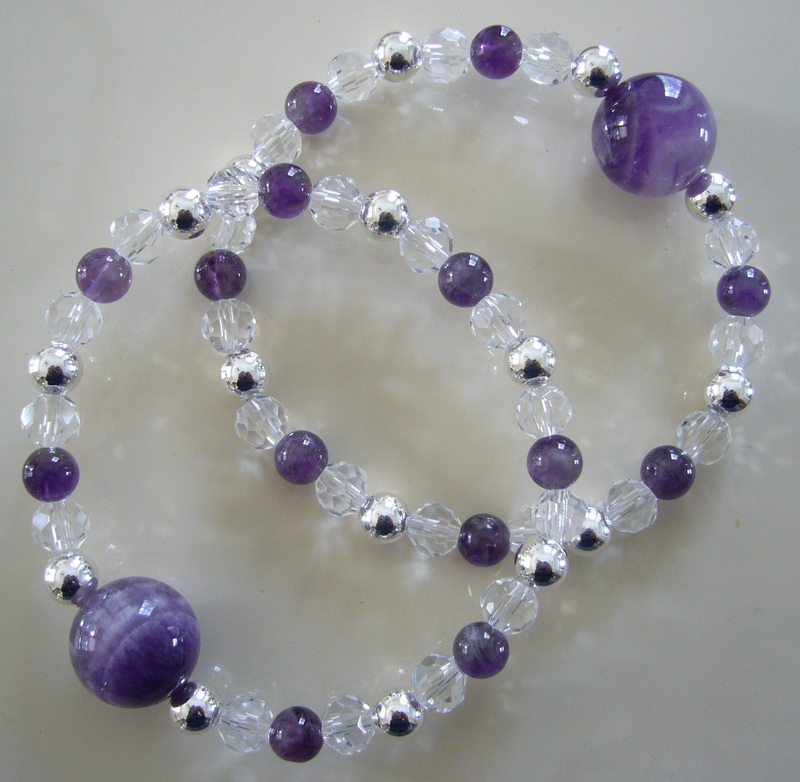 Queasy Beads are custom-designed to your wrist measurements. 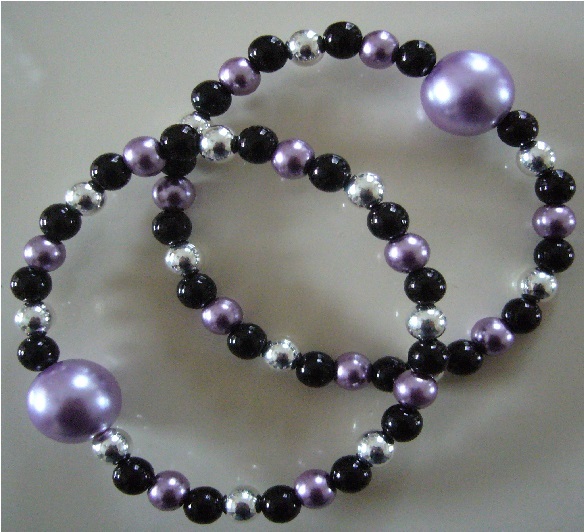 For best results, measure both your wrists for your Queasy Beads. Queasy Beads are specifically designed to help relieve symptoms of stomach queasiness and nausea by applying light pressure to the P-6 acupressure points on your wrists. 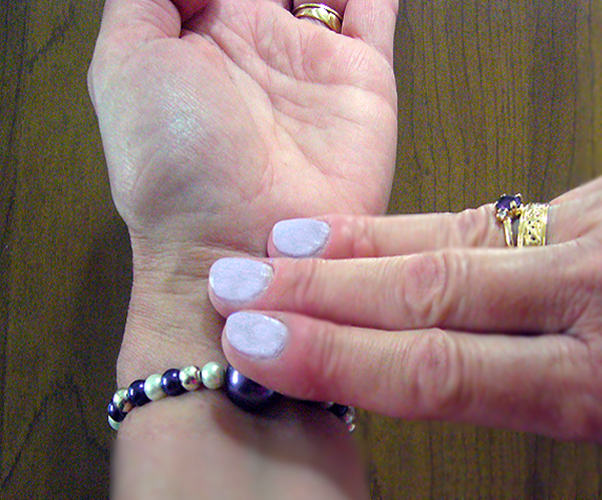 These acupressure points are located 3 fingers down from your palm, on your inner wrists, exactly where your index finger rests (as shown here). The circumference measurement needed is 3 fingers down from your palm on your inner wrist, in the middle, exactly where your index finger rests. 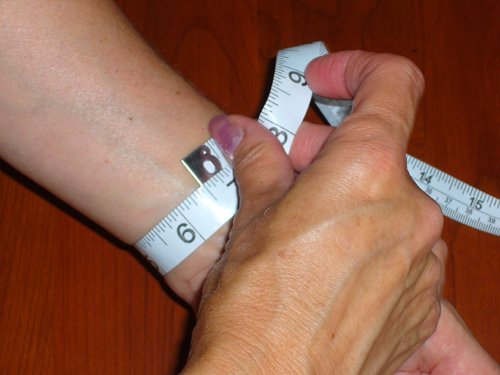 With palm facing up, gently wrap a flexible measuring tape around your wrist at this point (as shown in photo). Don't pull the measuring tape too tight, just wrap it around itself until it reaches "0" on the end of the tape. This is your wrist size for Queasy Beads. Please measure both wrists. 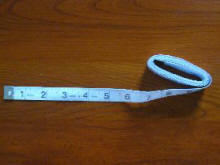 If you don't have a flexible measuring tape, a strip of paper or a sturdy string can be used instead. When using a strip of paper or sturdy string, gently wrap it around your wrist (as explained above). Then make a mark and measure the length you marked with a regular, straight ruler. 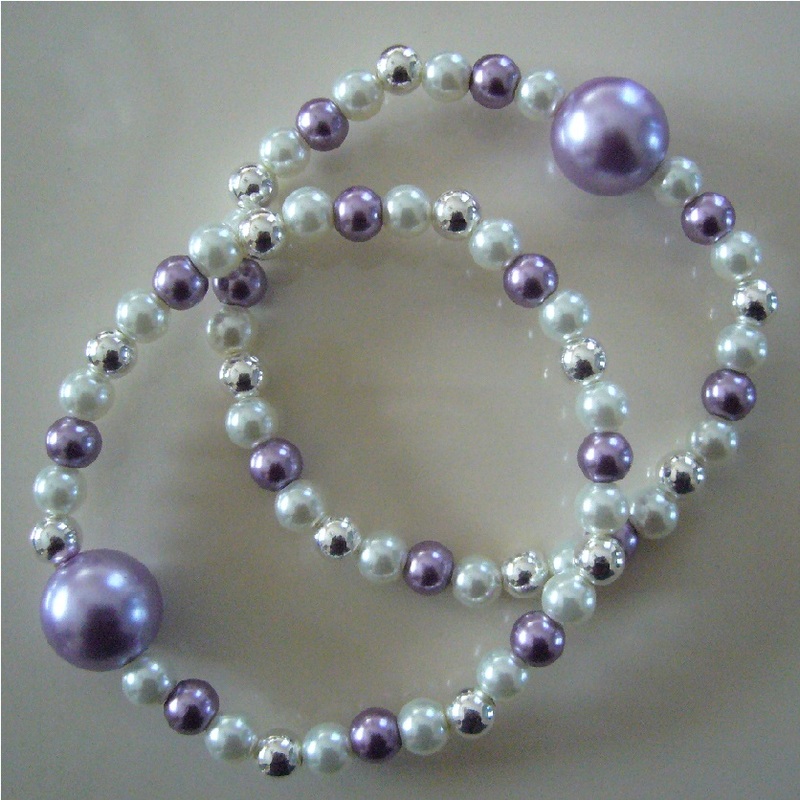 Queasy Beads are designed to fit comfortably snug. 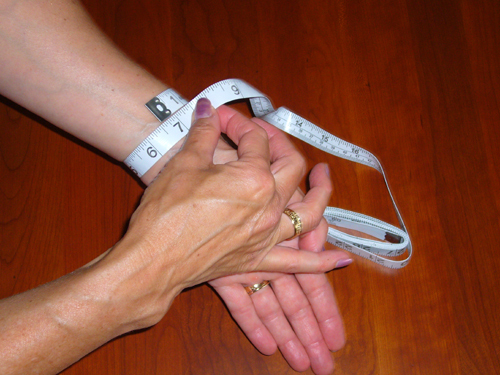 If your wrist measurement falls between a size listed in the size selections, it is best to choose the next available size. If necessary, and for clarification of your exact size(s), please include a note with your order.